This article explains the specific PDF417 code settings. 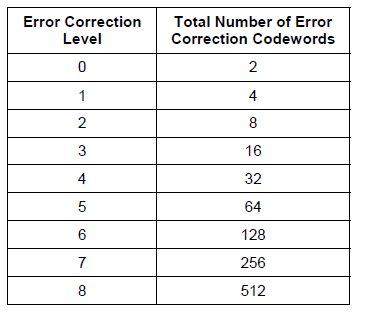 Depending on the mode and error correction levels, any invalid characters, entered by the user, as well as any characters, which surpass the maximum number of symbols, which can be accommodated, will be discarded. Auto - This specifies no particular encoding mode. This means that the barcode control will determine internally how to encode each particular symbol, according to the ISO specification. Byte - The Byte Compaction mode enables a sequence of 8-bit bytes to be encoded into a sequence of codewords. It is accomplished by a Base 256 to Base 900 conversion, which achieves a compaction ratio of six bytes to five codewords. Characters with ascii codes from 0 to 255 are acceptable. 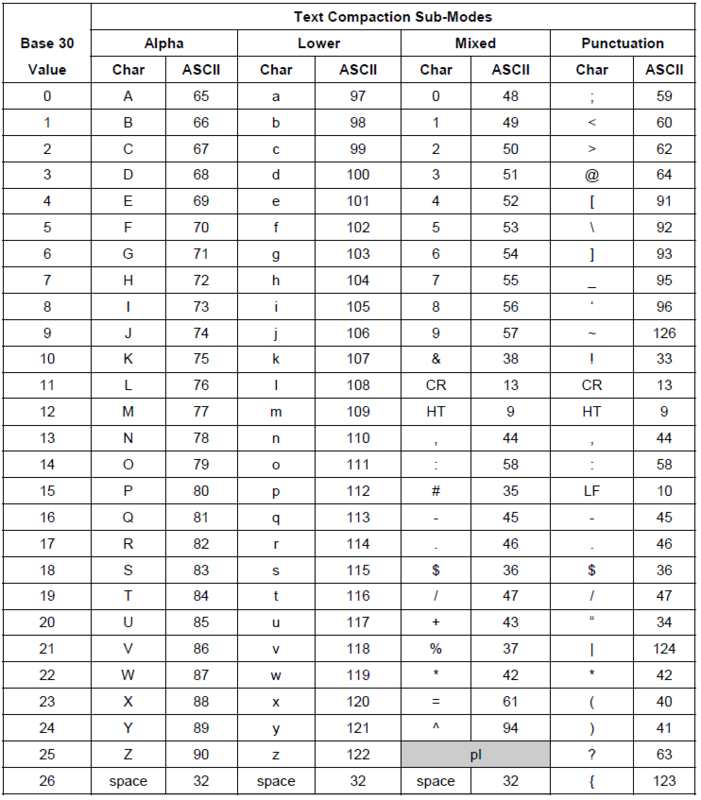 The table below lists all the characters and their values. Numeric - The numeric mode allows encoding of numeric symbols only [0-9]. Any other characters are discarded. 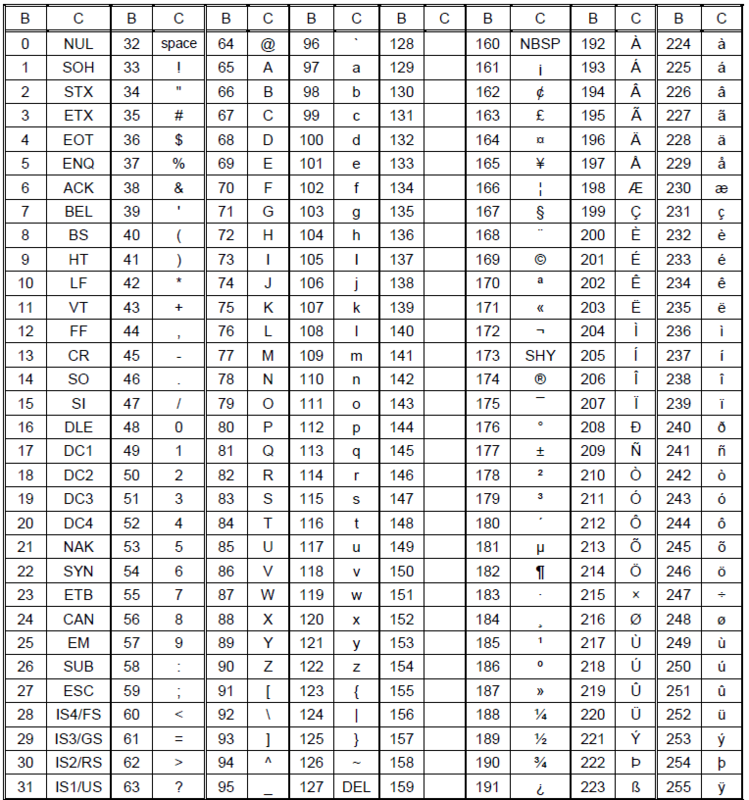 Internally, code PDF417 renders in columns and rows. These rows and columns create a grid, which in turn accommodates all the modules of encoded data. The maximum number of columns in the code is 30, whereas the maximum number of rows is 90. Depending on the scenario, this internal behavior may influence the readability of the control. To address this, two properties are exposed - Rows and Columns. 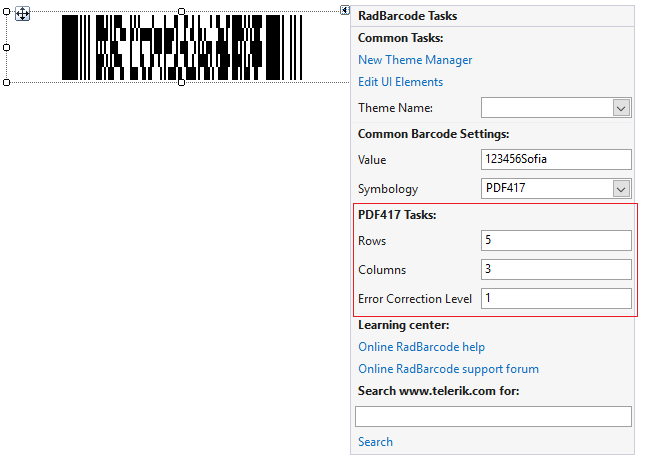 These two properties will allow you to pre-determine the number of rows and columns in the rendered PDF417 code. For example, when you have limited width, you can increase the number of rows. One thing to keep in mind is that these properties are related to the data, which needs to be encoded. If there is too much data, more rows/columns will be added. If there is insufficient data, not all rows/columns will be used.